Neptune Energy and its licence partners have submitted the Decision to Continue (BoV) report for the Cara project to the Ministry of Petroleum and Energy. The licence partnership will now progress its technical and economic plan before making a final investment decision early in 2019. 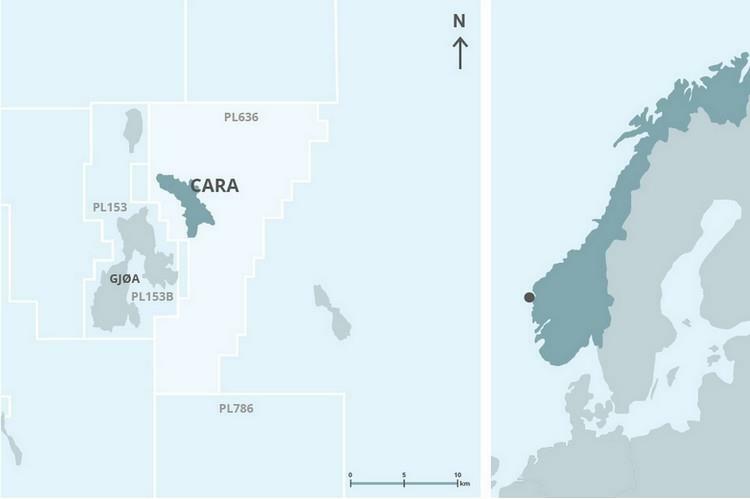 Based on the proposed plan, hydrocarbons from the Cara reservoir will be developed with a four-slot subsea template tied back to the Neptune Energy-operated Gjøa platform for processing and export. Gjøa will also provide gas lift to the field. A tieback to existing infrastructure will ensure that maximum value from the field is unlocked. The Cara field is located 6 kms northeast of the Gjøa field and about 60 kms of mainland Florø. Cara is expected to yield between 56-94 million barrels of oil equivalent, in the range of 9-15 million standard cubic meters (MSm3). Several studies will now be completed before the final investment decision and the plan for development and operation (PDO) can be submitted to the Ministry of Petroleum and Energy in the first quarter of 2019. Cara was discovered in 2016 and is situated in PL636 in the Norwegian North Sea. The discovery well, 36/7-4, was drilled by Transocean Arctic and proved oil and gas in Agat formation. License partners in PL 636 are Neptune Energy (30 per cent and Operator), Idemitsu Petroleum Norge (30 per cent), Pandion Energy (20 per cent) and Wellesley Petroleum (20 per cent).